Laurel Financial, founded in 1987, is an independent investment advisory firm in the south hills of Pittsburgh. Being independent is very important to our advisors because it means that they are not tied to any investment product line and have full autonomy to do what is in the best interest of the client. All of the advisors at Laurel take a personalized and holistic approach to planning for financial goals. The collective experience of the group has directed the company to the use of individualized portfolio and insurance solutions as opposed to the model portfolio approach that many other firms use. This approach allows the advisors to have deep knowledge of each component of a portfolio and financial plan so that they know firsthand how every piece of the puzzle will contribute to guiding the client through difficult times that may lie ahead. No calling a third-party firm to explain portfolio performance. The advisors at Laurel Financial are planners, not traders—an important distinction to make with online trading platforms becoming very popular. Their advice is centered around reaching a stated goal and assessing what is realistically needed to do that. They are not stock pickers who are here to make you a quick buck. They seek long-term relationships with their clients that will provide beneficial contacts to the whole financial community. The advisors at Laurel Financial are well versed in retirement planning, college savings planning, debt management strategies, estate planning, and retirement income planning. Laurel Financial can provide health and life insurance policies as part of, or separately from, a financial plan as well. 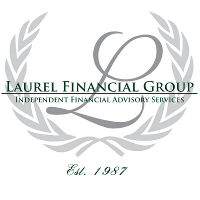 Laurel Financial Group uses the broker/dealer services of Commonwealth Financial Network in Waltham, Massachusetts. The fifth largest in the country, Commonwealth is one of the premier Registered Investment Adviser–independent broker/dealers in the business. Commonwealth acts as our back office, supporting our web-based capability and giving us access to a wide variety of planning tools and references that enable us to create and monitor plans effectively. Our founder, Wesley Nicholson, was the first representative in the state of Pennsylvania to use Commonwealth's services and is deeply familiar with the excellent service it has helped Laurel Financial Group to provide over the years.